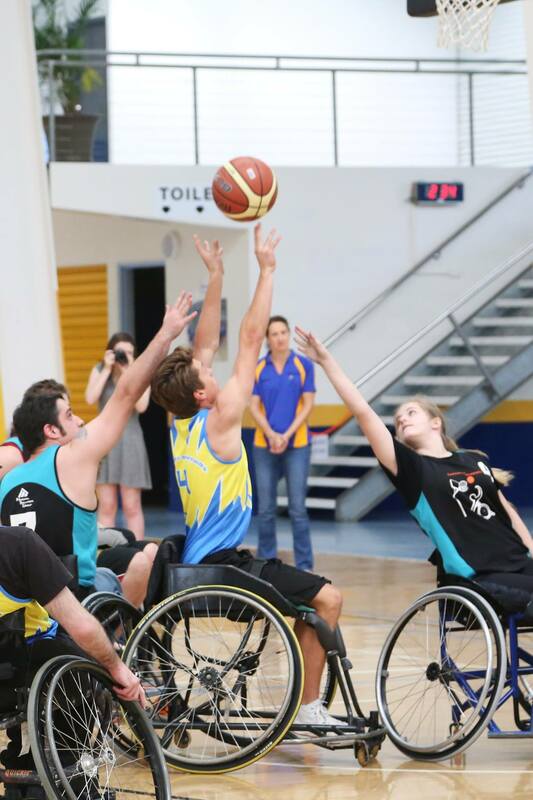 At the beginning of 2016, the Sunshine Coast will play host to some of the most inspiring and gifted athletes the world has to offer. 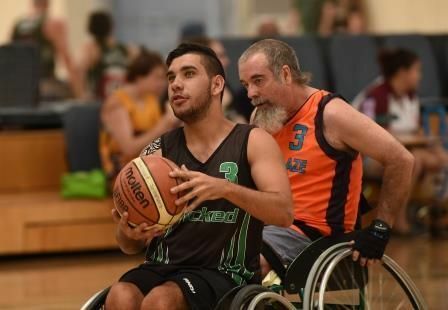 The internationally renowned Suncoast Spinners Wheelchair Basketball Tournament is on again, from 15th to 17th of January at the Caloundra Indoor Stadium. 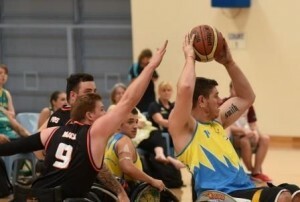 It will involve some of the best para-athletes from around not only Australia, but the world. ‘2016 is going to be bigger than ever with names like Adam Deans, Tige Simmons, Tom O’Neill-Thorne, The Gliders and the New Zealand team all competing. With such a high calibre of athletes on offer, this year is set to become one of the must see sporting events of the year, and it’s right here on the Sunshine Coast. For those of you who don’t know, Wheelchair Basketball is very similar to the original sport. There is still dribbling, or bouncing, of the ball, shooting, passing and a ten foot high, regulation size hoop at each end. Obviously, some exceptions have been made to accommodate disabilities. The exceptions are rules which have been modified with consideration for the wheelchair. 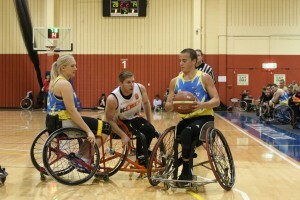 For example, “travelling” in wheelchair basketball occurs when the athlete touches their wheels more than twice after receiving or dribbling the ball. The individual must pass, bounce or shoot the ball before touching the wheels again. As well as having modified rules, in an effort to keep the playing field fair, different levels of player classifications have been put in place to keep teams even in terms of disability at competitive levels. 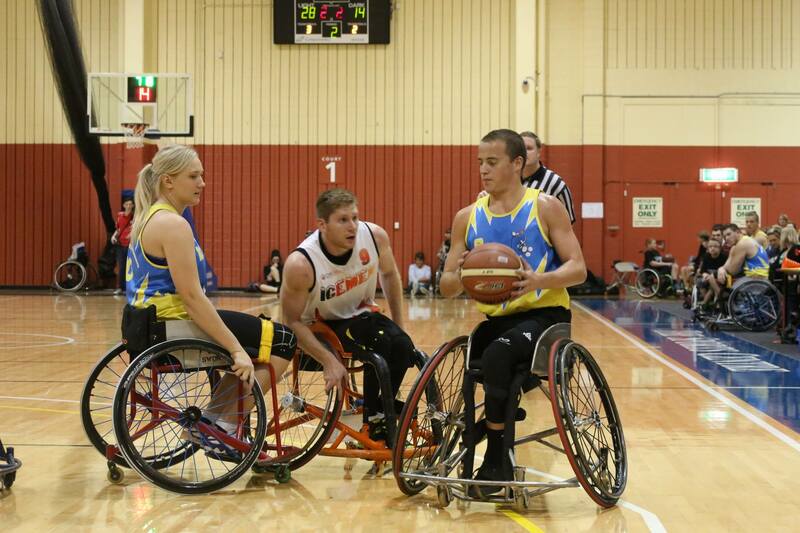 Classification is an international regulation for playing wheelchair basketball to harmonize the different levels of disabilities players have. All teams that compete above a recreational level use the classification system to evaluate the functional abilities of players on a point scale of 1 to 4.5. Minimally disabled athletes are classified as a 4.5, and an individual with the highest degree of disability (such as a paraplegic with a complete injury below the chest) would have the classification of 1.0. 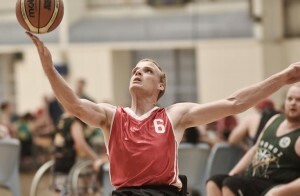 Competitions restrict the number of points allowable on the court at one time. The five players from each team on the court during play may not exceed a total of 14 points. 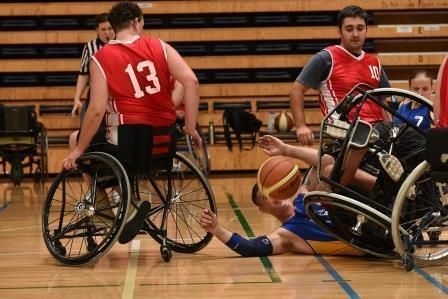 In places where teams are integrated, non disabled athletes compete as either a 4.5 in Canada or a 5.0 in Europe, however non-disabled athletes are not allowed to compete internationally. If you’ve never spectated this amazing sport, then I highly recommend you do. The speed of play and movement in this sport is unparalleled, and while there is no back-board shattering dunks, the skill and athleticism of the players is an absolute stand out as they must rely on shooting ability and fast paced, strategic play. Entry for spectators is free, with a barbecue run by the local Lion’s Club. For more information on the local league or the event itself, check out the Suncoast Spinners Wheelchair Basketball Inc. Facebook page.